British Cycling said it has agreed with Sky that 2016 will be the final year of their partnership. 2016 will be the final year of the partnership between British Cycling and Sky. The two joined forces in 2008 with the aim of increasing participation at all levels by supporting elite sport alongside inspiring the next generation to cycle more regularly. 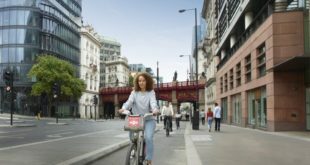 Achievements have included getting over 1.7m more people cycling regularly, with the Sky Ride events set to surpass 1m participants before the end of 2016. British Cycling chief executive Ian Drake said: “British Cycling and Sky will remain firm friends and part with great mutual affection, having achieved amazing things together. “The last 10 years have been brilliant for our sport – our membership and participation in cycle sport continues to grow, we’ve encouraged over 1.7 million people to cycle regularly with even more starting all the time and we are seeing the emergence of a new generation of cycling heroes. “The partnership with Sky since 2008 is an important part of that story. Sky gave British Cycling the platform from which to communicate the best of the sport and, through British Cycling, Sky has delivered lasting and positive change. 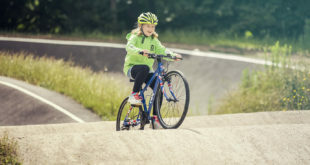 “Successes for British riders at London 2012 transformed the country’s sporting expectations but winning medals was never an end in itself – we have harnessed those achievements to inspire unprecedented growth in participation. 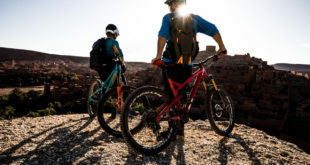 “There is still a great deal to do – including getting a million more women into cycling by 2020, sustaining the country’s most successful sports team, continuing to support growth in cycle sport through our regions, clubs, members and volunteers, and transforming Britain into a true cycling nation by making conditions on our roads better for everyone who wants to get around by bike. As well as working with British Cycling to find a new partner from 2017 onwards, Sky will continue its commitment to cycling through Team Sky, WIGGINS and Sky Academy initiatives.